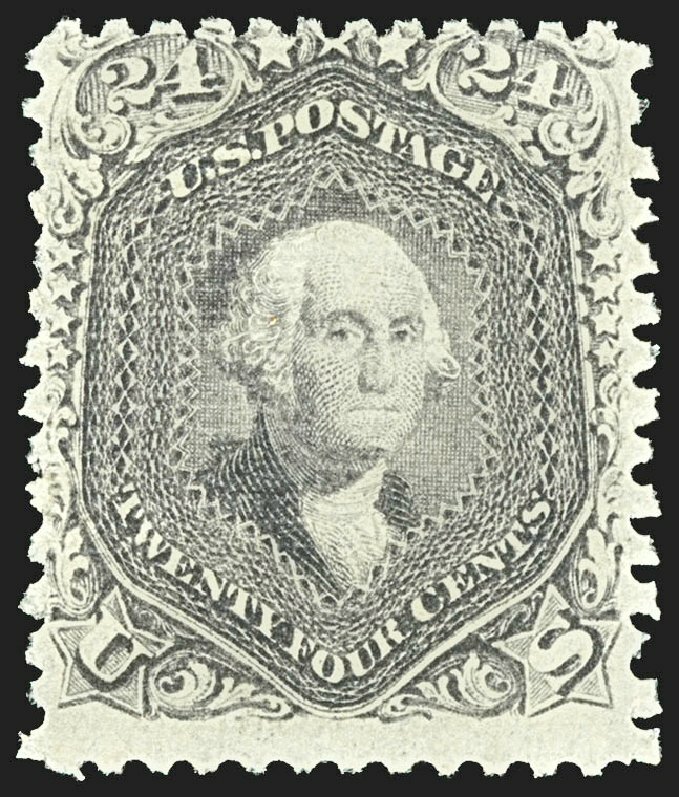 USA (Scott 99) 1867 WASHINGTON ‘F’ GRILL 24¢ GRAY LILAC Very fine centering with light circle of wedges cancel. 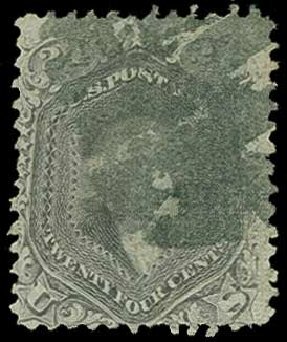 Light crease lower left and thinned perf tip at bottom. Cat price $1600. 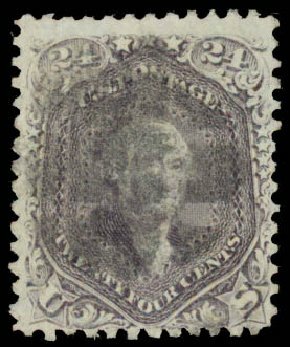 U.S.; General Issues, 1867, 24¢ Gray Lilac, F. Grill, #99, slightly dist. o.g., fresh and Fine, PSE (2015) cert. 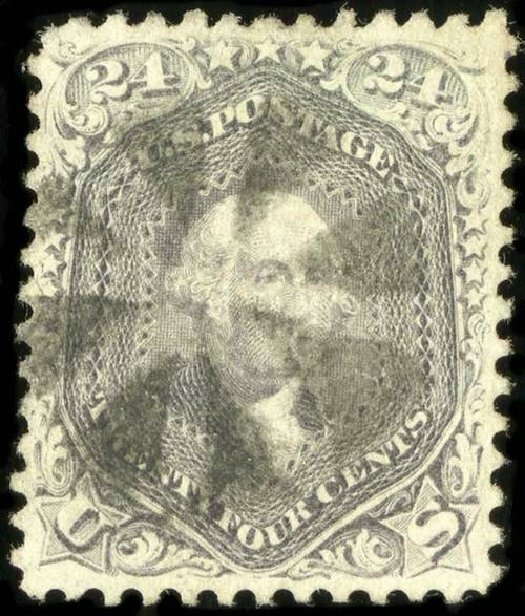 Scott $8,500. Estimate price $1,200-1,500. 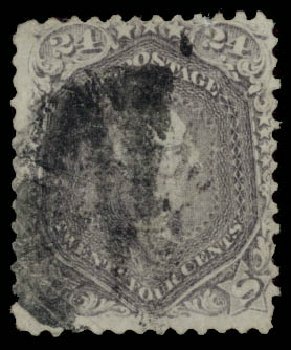 o U.S.; General Issues, 1867, 24¢ Gray Lilac, F. Grill, #99, pen cancel, s.e. at left showing guide line, few soil spots on reverse, Fine. 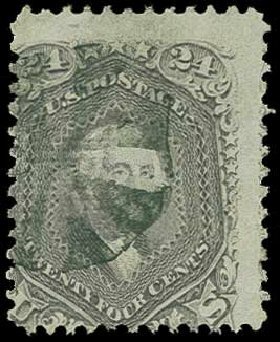 Scott $1,600. Estimate price $150-200. 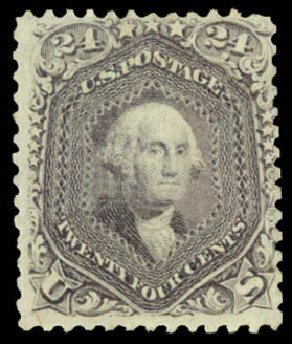 1867, 24¢ gray lilac, F. grill (Scott 99), o.g., brilliant shade, bold grill, will fit in nicely with any mint collection; reperfed at right, otherwise Fine to Very Fine, with 2015 P.S.E. certificate. 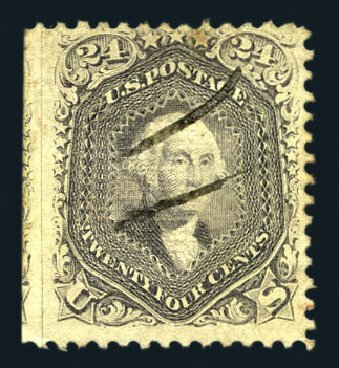 Scott $8,500. Estimate $1,500 – 2,000. 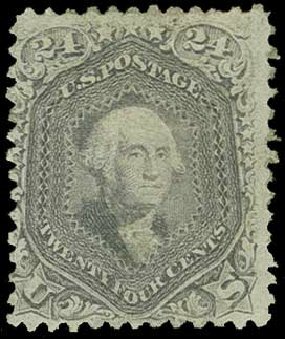 Scott #99, 24c Gray lilac, “F” grill, exceedingly well centered and margined, fresh rich color with more lilac than is usually found in this stamp. 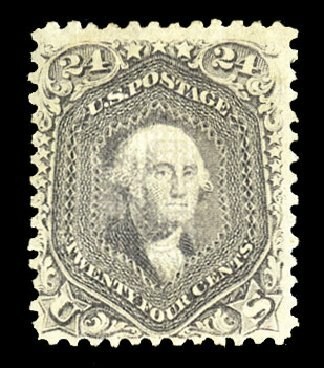 plus a well defined grill impression, central segmented cork cancel, extremely fine; a choice used example in a condition far better than usually found on the Twenty Four Cent “F” Grill; 1994 PF certificate. 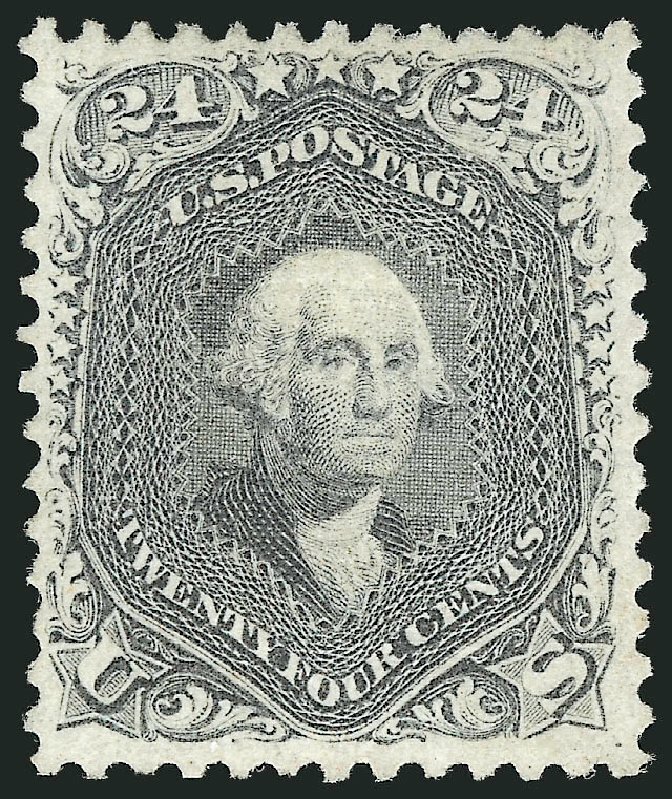 1867, 24¢ gray lilac, F. grill (Scott 99), fresh and fairly well centered for this, Fine. 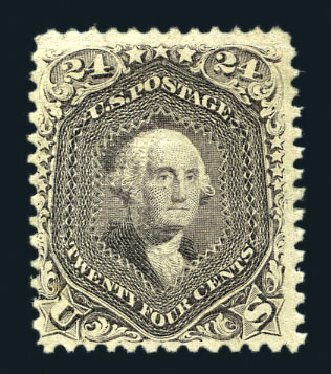 Scott $1,600. 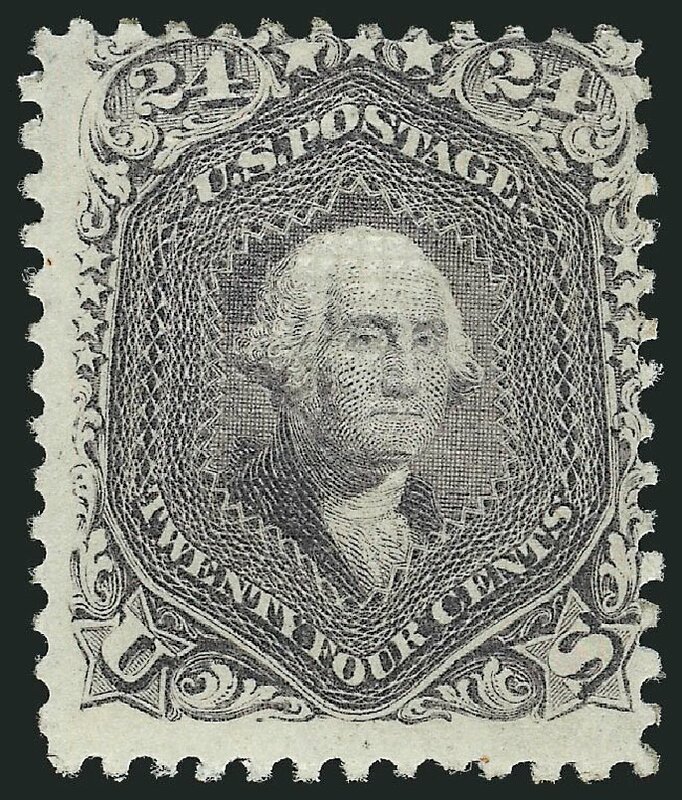 Estimate value $400 – 600. 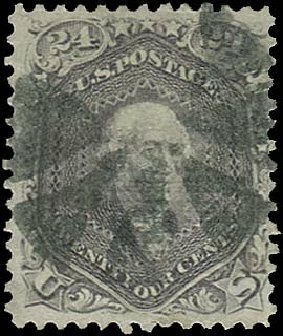 1867, 24¢ gray lilac, F. grill (Scott 99), black cancellation, bold color, decent example of this elusive grilled stamp; creases and a small tear, otherwise Fine, 2004 P.S.E. certificate. 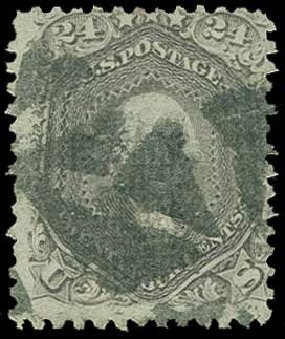 Scott $1,600. Estimate value $200 – 300.